A well established, family run business. All game is local and is cut, prepared and produced by our Master Butcher who is also the owners Father. Vincent Elliot, the owner, is a registered and licensed Game Dealer. 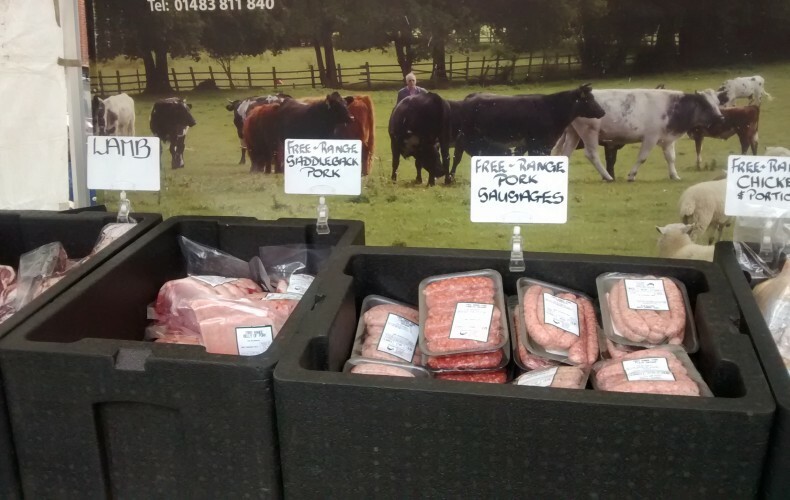 We produce Venison and Wild Boar sausages in a wide variety of flavours. Venison, Wild Boar and Rabbit Burgers. Venison and Wild Boar joints and cuts of meat and all Game Birds when in season. We also have a Smokery where we smoke over Oak Chippings and produce the finest quality smoked meats, fish and poultry. You can find us at local and not so local Farmers Markets in East and West Sussex, Kent, and Surrey. John & Georgina Emerson have been at Hunts Hill Farm for 25 years, a small mixed farm with traditional breeds of pigs, beef, lamb and poultry along with Christmas Poultry, we also run a small flock of free-range chickens for eggs along with ducks and geese. 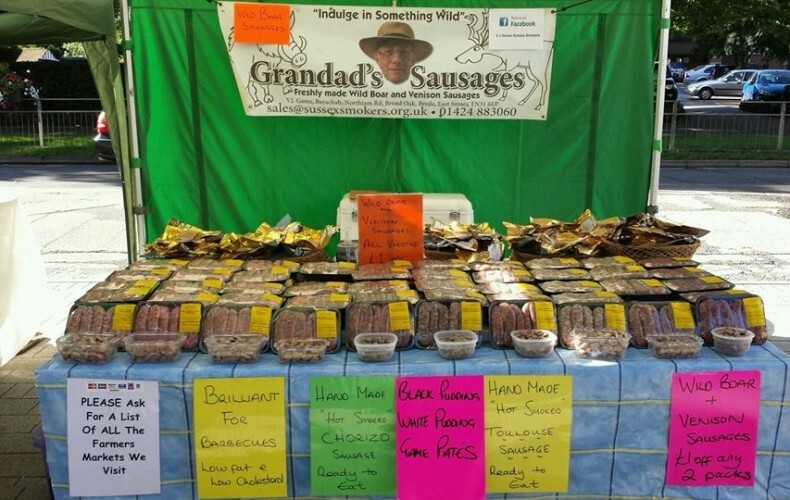 We employ our own Butcher Peter and Mary who makes our wonderful sausages of which we have 25 different flavours. Special cuts of meat can be prepared for that special Dinner Party with a weeks notice. Orders can be emailed to us for collection at the Markets. 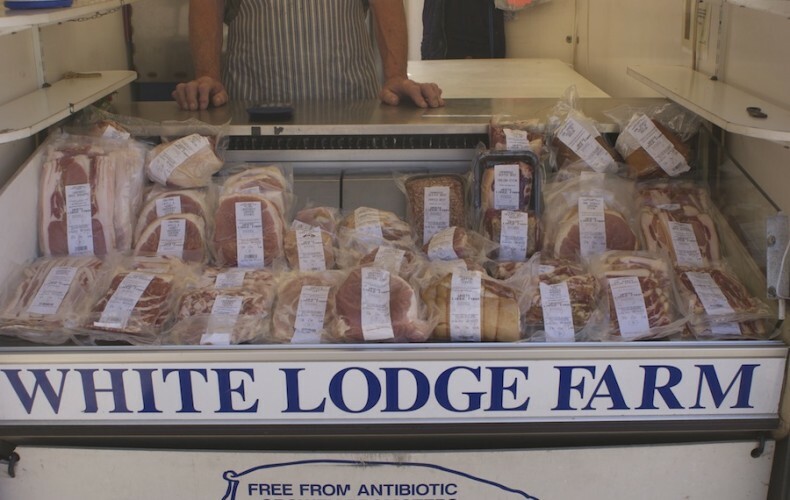 We also have a Farm Shop which is open from Wednesday – Friday 9-6 and Saturday 9-5, you can also buy various products from our Shop that you will find at your Farmers Market. We look forward to seeing you at either the Farmers Market or visiting our Shop. Hampshire Game started trading in the mid 1970’s. The business has made steady progress over the past four decades – it has had to invest heavily in buildings, equipment etc.to meet all EU regulations. We have a very experienced and knowledgeable team who, between them, know all aspects of game farming and game dealing. We raise the game in incubators and hatchers – sell the chicks/poults to shoots and then buy the dead game back from the shoots. It is then processed in our processing unit which comes under the jurisdiction of the Food Standard Agency. 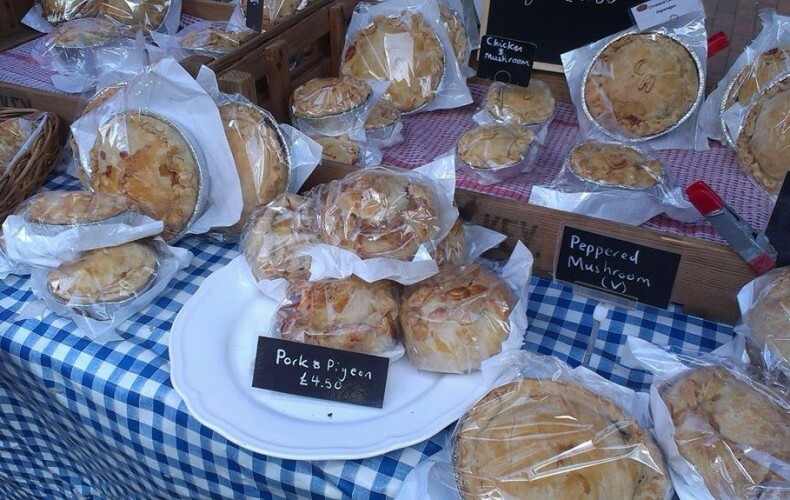 We attend many farmers markets in Surrey/Hampshire and Sussex. We sell all game products for example:- Oven Ready Pheasant/Partridge/Wild Duck/Rabbit/Pigeon.We also sell Venison which is prepared in different cuts all ready for the oven.